Set among the English country gentry at the turn of the nineteenth century, Pride and Prejudice is a story of love, marriage, manners, relations, the pride of money and the prejudice of class. 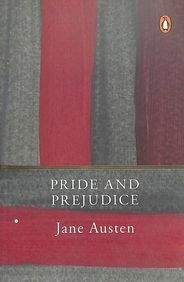 In the sparkling comedy of manners that follows Mr Bingley and Mr Darcys arrival in the neighbourhood, Jane Austen shows the folly of judging people based on first impressions and superbly evokes the friendships, gossip and snobberies of provincial middle-class life. Pride and Prejudice is Jane Austens masterwork-an entertaining portrait of the way people behave in society, and matrimonial rites and rivalries-and timeless in its hilarity and honesty.